The best time to post on Instagram is going to be different depending on what kind of followers you have. The best time to post for an Instagram page with a teenager-focused following is going to be different than an Instagram page with a Mom-based following. While these times might be a good start, they are also very general. To find the absolute best time to post on Instagram for your specific Instagram page, you have to understand when your followers are online and most active. This is because of how the Instagram algorithm works. While the Instagram algorithm takes many things into consideration when choosing which posts to show in someone’s feed, one particularly important factor is recency. In general, the Instagram algorithm will prioritize a post that was uploaded today over a post that was uploaded yesterday. This is why it’s so important to know when your followers are online. Let’s say your followers are online at 4PM every day. If you’re uploading at 8AM, you’re allowing seven hours between when you upload your post and when the majority of your followers are online. Therefore, by the time your followers come online, your post post has been pushed down the feed and out of sight by all the other, more recent posts. Finding out when your followers are online is as easy as looking at your Instagram Insights. Your Instagram Insights can be found by tapping the 3 horizontal lines at the upper right corner of your Instagram page. Or, if you want information about a specific post, just tap “View Insights” below any of your posts. When you have Instagram Insights open, go to the “Audience” and scroll down to the very bottom. It’s here that you can see not only the days when your followers are most active, but also what hours of the day they are most active. It’s simple: look to see what days and hours of the day your followers are most active and upload posts at those times. For instance, if Instagram Insights tell you that the majority of your followers are online Tuesdays and Thursdays at 12PM and 6PM, you should always be uploading posts on Tuesdays and Thursdays at 6PM and 12PM. The better you can get your posts in front of your audience when they’re online, the more potential engagement you can get on your posts. This is because the closer you upload a post to when your followers come online, or the “newer” your post is in the eyes of Instagram, the fewer posts your post has to compete with for a top spot on a follower’s feed. Obviously factors like the number of people a follower is following is going to affect this as well, but generally speaking, the newer your post is to a follower, the less likely it will be pushed down in their feed by other, more recent posts. The closer to the top of a follower’s feed you can get your post, the more likely that that follower will see your post. The more followers that actually see your post, the more potential engagement you will get on that post (you can’t engage with something if you don’t see it, right?). In this sense, posting when your followers are online and most active is an effective way to get more engagement on your posts. There is a second factor that the Instagram algorithm takes into consideration when deciding what posts to show first on a person’s feed: relationship. Instagram will prioritize showing you posts from people that it deems to have close relationships with you. Instagram calculates how close you are with someone from your interactions with them. As an example, if you are always Liking posts from a specific person, then Instagram will prioritize showing you posts from that person. The better you can post to Instagram when your followers are online, the more chances you are giving them to engage with your posts. The more they engage with your posts, the more that Instagram will prioritize showing your posts on their feeds. Aside from your own followers, there’s also a very good probability that the best times to post produced by Instagram Insights also apply to people who aren’t following you but who are likely to be interested in your page. If you understand what hashtags your target audience is using, and you use Instagram Insights to help you post when your target audience is online, you are significantly increasing your chances of getting your posts in front of new followers. To illustrate this, consider how Instagram’s search results work. These Instagram posts are the most popular results for your hashtag when you did your search. For example, a post using the hashtag #dog that gets more engagement within the first hour of its posting than any other post uploaded at the same using the hashtag dog will show up as a Top Post when someone searches for #dog. You will have great visibility for your posts and your Instagram page if your posts appear as a Top Post, especially if it’s a popular hashtag. The key is to use hashtags that your target audience is actually using. These are all hashtags that people who are likely to be interested in your kind of Instagram page are using and searching for. More generally, ranking as a Top Post for the right hashtags means more visibility from the right kind of people, which translates to more followers for your Instagram page. Instagram Insights will help you find out the best time to post on Instagram, the three steps described above will help you find the best hashtags to target, but getting enough engagement on your posts (and getting it quickly) unfortunately doesn’t have as simple of a formula. So now we know how important it is to schedule your posts at the right time and the many ways it can benefit your Instagram page. But what if you can’t access your phone at the times when you need to post? That’s where an Instagram scheduler like AiGrow can help. It’s completely free and allows you to schedule posts for days, weeks, or even months ahead from your desktop. Take the days and times from Instagram Insights, schedule posts for these days and times using AiGrow, and watch your post engagement and new follower rates skyrocket. So there you have it – how the Instagram algorithm works, how to use it to get the most engagement on your posts and to generate new followers, and one easy tool to make sure you never miss an opportune time to post. 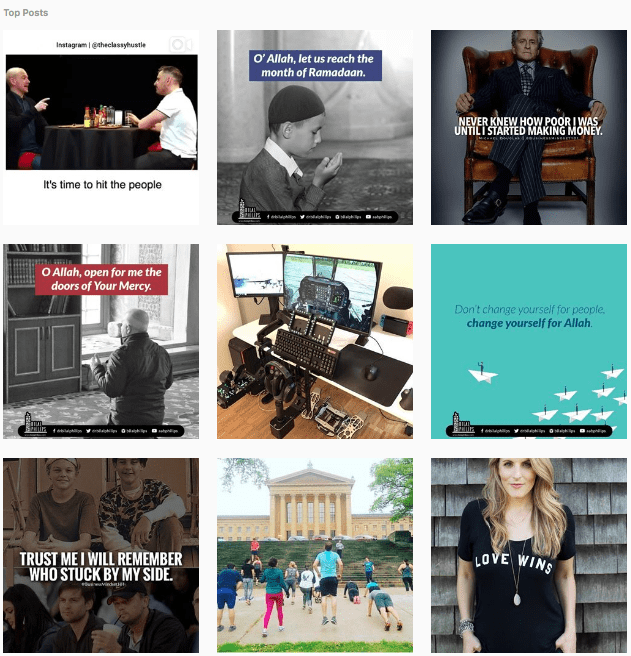 Know of any other tools or tricks to help people post at the best possible times on Instagram? Drop your wisdom in the comments below! See also: How to Make Money on Instagram as a Regular User? Sam is Chief Editor at socialpros – a blog aimed at simplifying social media marketing practices for small businesses and everyday people. He's likely bouncing to some Kaytranada as you're reading this.